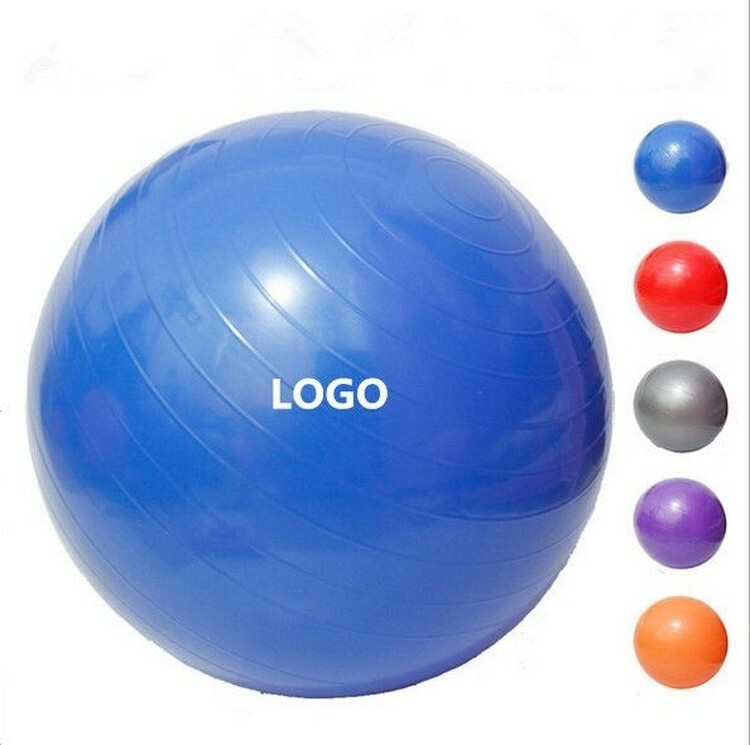 The 29 1/2" diameter yoga ball is made of environmental PVC. The size is suitable for both men and women. We can etch the logo into the yoga ball, this makes the logo impossible to be removed through normal ways. Each ball weighs approximately 2 lbs and can hold 440 lbs pressure. There are 5 colors available, but if quantity is more than 500 pcs, we can match PMS# for the ball.